The technology most likely to change the next decade of business is not the social web, big data, the cloud, robotics, or even artificial intelligence. 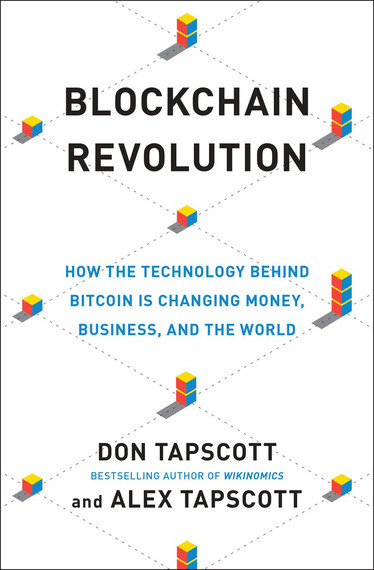 It's the blockchain, the technology behind digital currencies like Bitcoin. Blockchain technology is complex, but the idea is simple. At its most basic, blockchain is a vast, global distributed ledger or database running on millions of devices and open to anyone, where not just information but anything of value -- money, titles, deeds, music, art, scientific discoveries, intellectual property, and even votes -- can be moved and stored securely and privately. On the blockchain, trust is established, not by powerful intermediaries like banks, governments and technology companies, but through mass collaboration and clever code. Blockchains ensure integrity and trust between strangers. They make it difficult to cheat. In other words, it's the first native digital medium for value, just as the internet was the first native digital medium for information. And this has big implications for business and the corporation. Much of the hype around blockchains has focused on their potential to fundamentally change the financial services industry - by dropping the cost and complexity of financial transactions, making the world's unbanked a viable new market, and improving transparency and regulation. Indeed, it is already having a big impact on that sector. However, our two-year research project, involving hundreds of interviews with blockchain experts, provides strong evidence that the blockchain could transform business, government, and society in perhaps even more profound ways. In the early days of the web, many management thinkers, present company included, speculated that the internet would reduce companies' internal and external transaction costs, especially the cost of search, coordination, and communication. Surprisingly, however, the internet had only a peripheral impact on corporate architecture, falling short in materially dropping many transaction costs in business. Consider the music industry, where intermediaries capture nearly all the value and artists get paid last. Now, companies like Mycelia, founded by Grammy-winning artist Imogen Heap, have developed intelligent songs with smart contracts built in, which enable artists to sell directly to consumers without going through a label, financial intermediary, or technology company. This means that royalties and licensing agreements execute automatically and instantly--and artists get paid first. Spotify, Apple, Sony Music and other massive media companies stand to lose or gain depending on how quickly they embrace this technology. During the first generation of the internet, many creators of intellectual property were not properly compensated. Musicians, playwrights, journalists, photographers, artists, fashion designers, scientists, architects, and engineers were not only beholden to record labels, publishers, galleries, film studios, universities, and large corporations (vestiges of the pre-digital age) --these inventors now also had to deal with digital piracy that became possible on the web. Blockchain technology provides a new platform for creators of intellectual property to get the value they create. Consider the digital registry of artwork, including the certificates of authenticity, condition, and ownership. A new startup, Ascribe, which runs on the blockchain, lets artists themselves upload digital art, watermark it as the definitive version, and transfer it, so similar to bitcoin, it moves from one person's collection to another's. The technology solves the intellectual property world's equivalent of the double-spend problem better than existing digital rights management systems; and artists could decide whether, when, and where they wanted to deploy it. Blockchain technology can provide the suppliers of these services a means to collaborate that delivers a greater share of the value to them. Just about everything Uber does could be done by smart agents on a blockchain. The blockchain's trust protocol allows for cooperatives, or autonomous associations, to be formed and controlled by people who come together to meet common needs. All revenues for services, except for overhead, would go to members, who also control the platform and make decisions. Today, collaboration tools are changing the nature of knowledge work and management inside organizations. But there are clear limitations to today's suites of tools, as we still need central intermediaries to establish trust and coordinate much of the capability. This creates an opportunity for blockchain-based systems. For example, if every employee had their own elaborate profile, which they owned and controlled, employees and companies would be able to keep their data, rather than give it to large social network companies. If current development projects, such as Enigma, being run out of MIT, are any evidence, blockchain social networks will have dramatically richer and more customizable functionality, where data is protected and consumers empowered, compared to incumbents. Existing vendors will either face disruption or embrace blockchain technologies to deliver much deeper capability to their customers. In the mid-1990s, smart managers worked hard to understand the internet and how it would affect their businesses. Today, blockchain technology is ushering in the second generation of the Internet, and if companies don't want to get left behind, they'll need to dodge the Innovator's dilemma and disrupt from within.